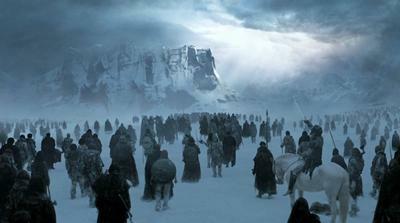 Scientists have used a Climate Modelling tool to simulate the environment of Westeros. Winter is here in the UK. Whilst it might feel as though the cold temperatures and frosty conditions will last ‘forever’, we certainly don’t suffer the near decade-long winters and similarly long summers experienced in the mythical world of Westeros. While our real-Earth climate is changing due to the release of greenhouse gases by fossil fuel burning and land use changes, the climate in Westeros - the mythical setting for Game of Thrones - seems to magically, and rapidly, vary from near decade long summers to similarly long winters – but how? Scientists from the Universities of Bristol, Cardiff, and Southampton hope to answer that question by applying a real-world Climate Modelling tool to simulate and explore the environment climate of the world of Game of Thrones. The model simulations were carried out on the supercomputers of the Advanced Centre for Research Computing at the University of Bristol. Their results show that The Wall, where the land of Westeros is guarded from the White Walkers, has a climate in winter similar to that of Lapland, whereas Casterly Rock, the stronghold of the scheming Lannisters, has a climate similar to that of Houston, Texas and Changsha in China. The wind speeds and directions predicted by the climate model also explain phenomena such as the dominance of the seas by the Iron Fleet, the likely attack plans of invading dragon hordes from Essos, and the trading routes between Westeros and the Free cities across the Narrow Sea. And the temperatures predicted by the climate model indicate the likely hibernation zones of White Walkers in summer. The full results are published in a mock journal article (also available in the Game of Thrones languages Dothraki and High Valyrian), written by Samwell Tarly (@ClimateSamwell), who is studying to become a “Maester” in the Citadel in Oldtown in Westeros. Samwell shows that the extended seasons can be explained by a ‘tumbling’ of the tilt of the spinning axis of the planet as it orbits the Sun, in such a way that that the same Hemisphere always tilts towards the Sun. He also models the global warming that would occur if concentrations of greenhouse gases in the atmosphere were to be doubled (due to increases in carbon dioxide and methane emissions from dragons and the excessive use of wildfire). His estimate of 2.1oC global warming for a doubling of carbon dioxide (the “Climate Sensitivity” of the world of game of Thrones) is within the range predicted by the Intergovernmental Panel on Climate Change for the ‘real’ Earth, of 1.5 to 4.5 oC. If Samwell Tarly is right, the inhabitants of Westeros have little hope to influence their coming Winter - it will last for as many years as their planet continues to “tumble” on its orbit around their sun. Here on Earth, it’s not a seemingly endless winter that awaits us but an extended period of global warmth. However, unlike the Starks, Tullys, Lannisters and Tyrells of Westeros, our actions in the years to come have a vital role to play in determining its severity. “While these climate models may provide the answers to why winter may be coming in Westeros, the real take home message is they also suggest things are going to continue to get warmer for us on Earth in years to come unless we dramatically reduce our fossil fuel emissions,” said Professor Gavin Foster from the University of Southampton. “Climate change is often described as one of the grand challenges facing humanity today and this message would be very familiar to residents of Westeros,” he continues. “The Intergovernmental Panel on Climate Change have shown that climate models can successfully simulate climates from the freezing world of the last Ice Age, to the intense warmth of the ‘Eocene greenhouse’, 50 million years ago. These same models are then used to simulate the future climate of our planet. Professor Carrie Lear from Cardiff University added: “This work is a bit of fun, but it does have a serious side. Climate models simulate real physical processes which operate in both cooling and warming climates. Scientists working on the SWEET project (www.deepmip.org/sweet) are using exciting novel techniques to reconstruct the climate of super-warm states of Earth’s past. They are using this information to test state-of-the-art climate models under conditions of high atmospheric carbon dioxide concentrations, similar to those expected by the end of this century”. 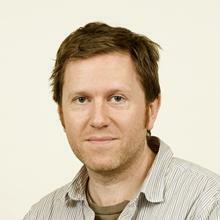 Professor Gavin Foster is Professor of Isotope Geochemistry within Ocean and Earth Science, National Oceanography Centre Southampton at the University of Southampton.